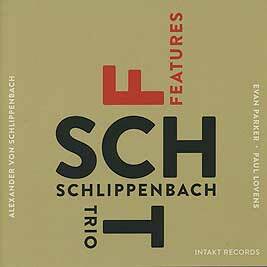 Alexander von Schlippenbach, piano; Evan Parker, tenor saxophone; Paul Lovens, drums. Recorded 11/12 December 2013 for Radio SRF and Intakt Records at Radiostudio Zürich. Graphic design (reproduced above) by Jonas Schoder.